Once the most lucrative European colony in the Caribbean, Haiti has long been one of the most divided and impoverished countries in the world. In the late 1980s a remarkable popular mobilization known as Lavalas, or “the flood,” sought to liberate the island from decades of US-backed dictatorial rule. After winning a landslide election victory, in 1991 the Lavalas government led by President Jean-Bertrand Aristide was overthrown by a bloody military coup. 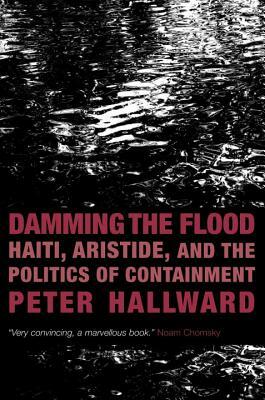 Damming the Flood analyzes how and why Aristide’s enemies in Haiti, the US and France made sure that his second government, elected with another overwhelming majority in 2000, was toppled by a further coup in 2004. The elaborate international campaign to contain, discredit and then overthrow Lavalas at the start of the twenty-first century was perhaps the most successful act of imperial sabotage since the end of the Cold War. Its execution and its impact have much to teach anyone interested in the development of today’s political struggles in Latin America and the rest of the post-colonial world. Peter Hallward teaches at the Centre for Research in Modern European Philosophy at Kingston University, London. He is the author of several books including "Absolutely Postcolonial," "Badiou: A Subject to Truth, ""Out of This World: Deleuze and the Philosophy of Creation," and "Damming the Flood."